Amazon(s AMZN) has taken some of its oldest EC2 instances, designated them as “previous generation” resources and segregated them from newer, more robust instances on a separate page of their own. But it will keep selling those older instances, according to the AWS blog. The company said this will bring the newer, more efficient processes to the fore for customers, but keep the older instances available for those who want them. At least for now. IT vendors typically stop selling an older product after a set amount of time or number of updates and eventually “de-support” or “end of life” it. That’s what Microsoft(s msft) is doing this week with its extremely popular but 13-year-old Windows XP. The first AWS instances came online in 2006 and 8 years is a long, long time in the fast-moving world of public cloud computing. Keeping these older EC2 resources running may be fine for now, but at some point AWS will be forced to act, said Sebastian Stadl, founder of Scalr, a private cloud management provider that also tracks cloud usage. If it holds to its current course, AWS will end up running older gear that would normally be recycled and replaced. Such equipment uses a lot of energy for electricity and cooling — especially if it is lightly utilized. There will be lots of unsold inventory and at that point, AWS — which is known for its efficiency — will have to either keep eating the cost, terminate client machines or develop live migration, technology that enables users to move workloads from one set of resources to another without shutting down, he said. Google Cloud offers live migration but AWS does not (yet). Amazon’s energy use is something of a sore point. The company prides itself on its energy efficiency but has also been slammed by Greenpeace for its reliance on “dirty,” i.e. non-renewable, energy compared to Facebook(s fb), Apple(s aapl), and Google(s goog) who hae committed to green energy sources. Greenpeace also said AWS is one of the least transparent tech companies about its energy use. For more on cloud infrastructure moves by Amazon, Google, Rackspace(s rax), IBM(s ibm), VMware(s vmw) and others, make sure to check out the Gigaom Structure agenda. The show is on for June 18-19 in San Francisco. AWS already has reboot migration (difference with Live Migration is that it happens on reboot only) working already. It is just not exposed to customers. Google needs to have public facing live migration as they take data centers down for days (AWS has always been 24X7, no scheduled downtime). Plus there is a form of live migration working already in AWS, happens under the covers and is not exposed to customers. 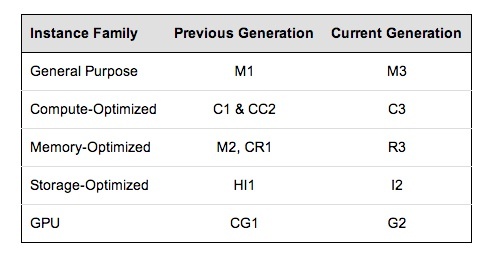 With these in place AWS can move from older to newer instances already. The challenge is that some customers might not want to move to a different instance type, for reasons such as different performance profiles, cost and risk.